"We had filmed some videos using the new Samsung NX500 camera, the files are 4K resolution and the compress file is using H.265. I want to convert Samsung NX500 4K H.265 video to something in 4K that Adobe Premiere Pro can understand to upload and post the final editing product in my channel in YouTube: AndresLopez." As the latest version of Adobe Premiere Pro, Premiere Pro CC get support for more native formats to make your post-production workflows compatible with even the latest broadcast formats. 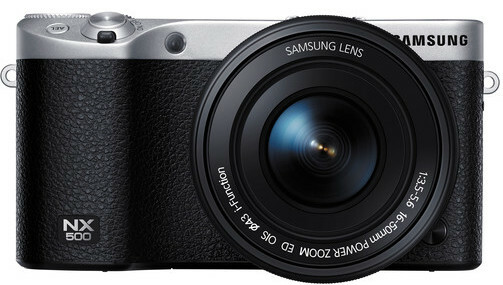 However, it has not upgrade itself to support for the new compression standard - H.265 codec used by the new Samsung NX500 camera. The good news is that there are some H.265 decoder application on the market can help you solve the problem. 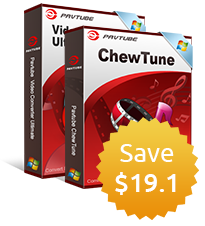 Pavtube HD Video Converter for Mac can be your ideal choice since it enables you to directly output Samsung NX500 4K H.265 to Adobe Premiere Pro CC optimized formats WMV, MPEG-2 or MOV formats to save your time and energy for doing some extra output profile settings. How to decode Samsung NX500 4K H.265 to Premiere Pro CC optimized formats? Step 1: Transfer Samsung NX500 video footage to Mac hard drive. The Samsung NX500 camera store recorded H.265 video on external SD card, you can remove the card out of your camera and insert the SD card into an SD card reader and then connect the card reader to your computer. The card reader will appear on your Mac desktop, double click on the card reader icon and a window will open to show all the files stored on the card. Step 2: Import Samsung NX500 H.265 files. Start and open the program on your Mac computer, from "File" menu drop-down options, select "Add Video/Audio" or "Add from folder" to import your source camera files to the computer. Step 3: Select Adobe Premiere Pro CC optimized output file format. 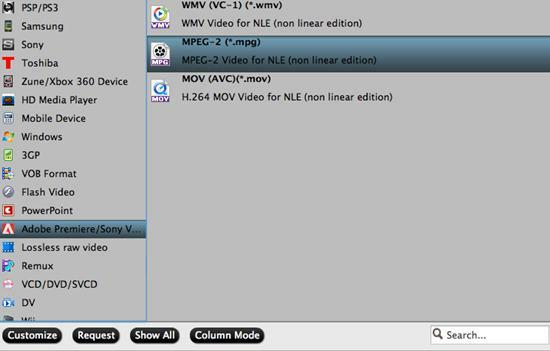 Click "Format" drop-down bar, from its extended list, select "Adobe Premiere/Son..." > "MPEG-2 (*.mpg)" as the output file format, you can also select to output Adobe Premiere Pro WMV or MOV file format according to your own preference. Step 4: Convert NX500 4K H.265 to Premiere Pro CC MPEG-2. Go back to the main interface, tap the right-bottom "Convert" button to start the NX500 4K H.265 video to Adobe Premiere Pro conversion process. When the conversion is completed, import converted media files to Adobe Premiere Pro CC for further professional post-production with no limitation.